In discussions online at the Small House Society Yahoo Group and Low Cost Community Housing Google Group the challenge of getting approval for tiny house building permits and community acceptance comes up often. It makes perfect sense because most communities across America have minimum house requirements that far exceed the size of a tiny house. In many of those same communities you can actually build a 120 square foot structure without a permit, except you’re not really allowed to live there. These little buildings are considered sheds. This of course has a lot of people interested in tiny houses asking the why this is so? If someone wanted to live in a tiny house why would anyone else care? The problem is too complex to cover in any detail here but it has mostly due to other people’s misconceptions about the people that live in tiny houses or trailers. The real solution will be to show communities that tiny house owners aren’t bad neighbora and their homes don’t bring down the value of the surrounding larger homes. One solution for this problem has popped up from a variety of different people. Since many tiny houses being built are also mobile (mounted on a trailer) why not buy an existing distressed trailer park and turn it into a tiny house community? The property is already zoned for this kind of use and much of the required infrastructure is already in place. It should be fairly easy to get permits to make improvements to such a property. For fun I’ve drawn a few pictures to show you how it might work. First lets start with a fictitious 14 unit trailer park on an imaginary street near you. The property is distressed and priced to sell. The trailers shown are about 10′ by 40′. Click any of the images below to see a larger version. The next step would be a bit difficult but necessary. All the people still living there would need to move to another park so you could alter the layout, landscape, and prepare the property for the new homes. If the property is truly distressed there may be very few people left living there so this may be easy to do. To make the most of the land the long driveway down the center of the community would be replaced by a parking area near the street. This would also separate the cars from the pedestrians. Depending on the needs of the new occupants the little houses could be grouped together if a tighter community is desired or a the tiny houses could be spread out if more privacy is preferred. The sizes of the little houses I’ve drawn here are about 8′ by 16′ (128 square feet). Above is what it might look like if the homes were grouped together. Imagine a little pedestrian street lined with trees in the center and little backyards behind the homes. Below is what it might look like if the homes were placed around the perimeter to give everyone more privacy. The center area could be small separate yards or one big community garden. In the proposal to the planning department the community would be described as only getting a makeover and smaller trailers. If a green spin were put on the project and the people approving the plans could see that this type of transformation would actually improve the quality of the overall community it should be easy to get the plans approved. The community could operate financially as a separate entity, like a LLC or non-profit organization and collect rent from tenants or it could be setup more like a condominium. I imagine there are a number of different ways of setting up the ownership. The ownership split could be done during or after the renovation. If tiny houses are too small, the same kind of community could be designed and built with slightly larger homes. The little houses pictured below would be placed on real foundations. Since the property is already zoned to allow multi-family trailer residences it should be fairly easy to talk the planning department into an upgrade to small houses on foundations. It’s still a multi-family community, just a nicer one. In fact I’d assume that most communities would welcome some creative green group proposing to clean up a distressed trailer park. Above is the same fictitious property with little houses, lets say 300 to 600 square feet. Below is what one house might be like inside. I drew these pictures after talking with a friend of mine in Boston who owns rental property in North Carolina. His family has always been in real estate and while his day job isn’t related to the real estate industry he’s always had some property investments. When he saw my tiny house design blog his very business minded brain immediately saw a wonderful opportunity and he’s looking into the possibility of setting up a community like this back east. If Ryan is successful I’ll definitely blog on it here… but I wanted to post this idea in hope that it might inspire other people to consider a similar solution. I think the best way to beat the system is to find a way to fit into existing definitions to help communities and planning departments understand the project. For example if you walk into a planning review meeting with a full head of steam and announce you want to propose a plan for a radical new kind of community they will freak out on you. If you go in and simply request to make improvements to an existing multi-family property that will be lower impact on the environment, provide low cost housing, and clean up the neighborhood they should approve your proposal and thank you for being a good samaritan. Not all communities are ready for this but I suspect many would see that right now is the time to explore this type of low cost living. The real estate, mortgage, and construction industries are really hurting. The economy in general is really hurting. A proposal for a project like this might meet many welcome ears. Once a few of these communities are in place and successful more people will begin to understand the benefit of living small. If the press is positive and people become more accepting of tiny houses getting changes to building codes and community restrictions should become easier in time. This entry was posted in Community Design and tagged Tiny House Community, tiny house coop, tiny house living, tiny house village. Thanks Honey! I totally spaced out on the community kitchen & dining room. That would probably be a great addition to a community of tiny houses. We should go check out the cottage housing communities. They are nearby and maybe we’d learn a little about how they overcame the community resistance issues. I like the idea of cohousing for so many reasons. I think it’s a wonderful opportunity for the elderly, families, and even the DD to really live in a mutually supportive community. I didn’t notice that you included this but I think having a community kitchen & dining room is a good idea along with community recreation of some sort. The garden is a great idea too. So many possibilities for uses in a project like this. What about kids that are aging out of the foster care system but aren’t quite ready to transition into living on their own? What about using something like this as a stepping stone while they go to college? If you want to see how something like this can be done to help the homeless here’s a GREAT example! The one thing I think about is that people need some breathing room from each other so as long as there’s enough “open space” I think living in a community can be a really amazing thing. Thanks Lindsay. Excellent suggestions. I’ll be sure to add that kind of stuff into part 2. I’ve been daydreaming about siting a tiny house in a friend’s yard, but this looks like an awesome alternative. In addition to the usual electric/water hookups, my ideal tiny-housing site would include access to a freezer, coin-op washer/dryer, community garden and compost, indoor “living room” for community gatherings, and optional shared wireless internet access for a moderate fee. Thanks for sharing your daydreams with us! This is good thinking, but I urge people interested in living lightly to repopulate our cities. Our cites already contain vast swatches of land zoned high density. I see many a Tiny House equip with public water, sewer, on the grid and often on transit. Parking is not required in urban life because a car is not required. When the housing stock is larger, co-housing is an option. Community gardens are everywhere! These things are happening, take a look at West Philadelphia when you get a chance. Oh yea, the biggest reason: renovation is always the greenest. I would be interested to see this same study applied to an urban context. Part of this approach would be the carving away of cooperative public/private space as opposed to building up thier boundaries. Good thinking Danielle. I think I might do that… run the numbers for an urban area. I agree completely. But would emphasize that the primary focus should be toward development of self-reliant, “tiny-housed” communities capable of sustained food production…rather than trying to squeeze essentially “barren” lifestyles into an equally “barren” urban and/or suburban environment. Specifically, a growing number of unemployed people are not only unable to make their house or rent payments, they’re also struggling to meet most of their other needs as well, including food. If this trend continues, and the hoped for “turn-around” doesn’t miraculously occur as quickly as expected, it won’t make much difference what you’re living in–whether a 3,500sf rambling rancher, or the trunk of a car–sooner or later an inexpensive supply of food will become a MAJOR source of concern for a growing number of people. Food Stamps and other government aid notwithstanding. In other words, instead of fighting ‘codes’ to put small, cheap housing into already densely “developed” areas, perhaps it might make more sense to integrate the concept with realistic small-scale farming/gardening, and take the primary code/permit fight to rural areas where sustainable quantities of food can actually be produced. In other words: tiny houses connected to big gardens…because a few “greens” growing in window boxes, or a tiny back yard, just won’t do it. In short, “tiny” greening of suburban and/or metropolitan areas is a wonderful dream, but one that assumes that the ‘hive’ will keep ‘humming’ along as it has in the past…and the only challenge will be that of transforming ‘lifestyle’ attitudes. But what are all those people going to do when the “buzz” begins to stutter, then falter, then eventually (gulp) become silent. Where does the “honey” come from then? My guess is that most people, should that occur, will be quite happy to discover the concept of tiny houses in the country…and transform their lifestyle accordingly. I look forward to checking back to read more. I am in the planning stages to repair and improve property overlooking Southern Lake Champlain that has been permitted as a Manufactured home park and campground in the past. There is also a small parcel on the waterfront with a private boat launch that is multi-unit residential. I am in a lakes region of lower michigan and may have the opportunity to develope a large parcel of land with frontage on a pond and 40+ acre lake. I am exploring possible ways of doing both a community for small (under 1000sf) arts and crafts style cottages/bungalows and incorporating area(s) for tiny homes also. My researching these options led me here to this site. should any of you be seriously interested in getting involved and sharing in the designing and creating of an intentional community of this nature, i would greatly appreciate hearing from you. This has been in my dreams since a child some 45+ years ago, and now i have an opportunity to see these old dreams find reality. I can do this, i can see this become reality for me and for others with similar dreams. Sounds really exciting Willy. Here are some other great places to look for others looking to develop tiny house communities. Hi, my name is Daniel, and i have been working on a similar project but based for Homeless here in the UK. i am contacting local councils and other leaders to rally support. the houses im looking at doing would cost very little to build, be built by volenteers from the community and be housed on a “test” site provided by the local council. maybe you can have a look at my site and give me any ideas on how to improve the idea? Let’s see. We started to build a traditional village by acquiring the land in and around an existing historic community (founded in 1691). We wanted to stop urban sprawl and provide an alternative to current development trends. Our architects and engineers went with county planning staff to County Kent, England to meet with their staff and visit small hamlets. We used several principles – walkable, environmentally sensitive, community oriented, historically sensitive, energy efficient, right sized high quality homes, right priced. Although we started with a traditional village concept the professional planners subsequently called it a new urbanism, smart growth, place making, creative placemaking and now a pocket neighborhood development. WE love the concepts. The public loved the concept. And could not sell homes. The economy stopped us in the residential area although the commercial and crafts/arts went very well. So, if anyone out there wants to review this project with us and help move it forward, please let me know. These are all great concepts that must be implemented and provided as alternatives to the optional sprawling community. Been working on same approach, want to so bad i make models. 200 small house designs i drew up 1 and 2 story. Most 600 to 800 . 2,3,4 bedroom and most code complient. Need to get them out there. every tiny house community also needs a GENERAL STORE…different from a mini-mart…imagine a place to have online purchases delivered securely (just lost another UPS package to thieves, sigh) and a place within walking distance for groceries (according to the needs of the community, and hopefully bulk item packaging where you only buy what you need, when possible) If no cars were permitted, but rather scooters for us old folks, we would need a way to have things delivered to the village regularly. This is exactly what’s needed! Here in california, rents are way too high. 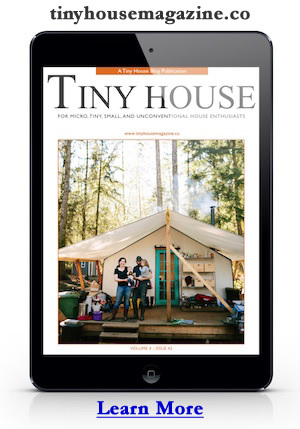 I’ll soon be launching a site where we can all brainstorm solutions: TinyHouseBusiness.com let’s all get together, start a crowdfunding campaign and make this a reality!